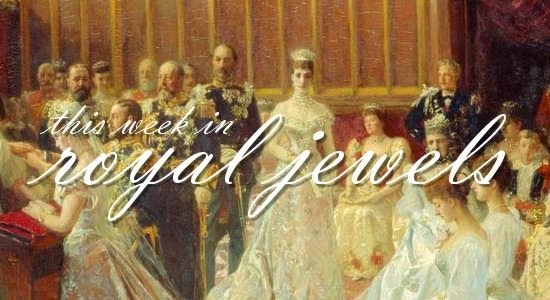 Earrings galore, plus some intriguing necklace choices, dominate this week's jewel roundup. Vote for your favorites in the poll! 10. The Duchess of Cambridge's famous sapphire engagement ring was on full display during a Rugby World Cup match on Friday. 9. During their visit to America, King Felipe and Queen Letizia of Spain made a stop in St. Augustine, Florida. Letizia wore her Tous blue quartz and amber earrings for the visit. 8. The day before, Letizia donned a pair of Yanes earrings set with citrines and diamonds in Miami. 7. Last Thursday, Queen Rania of Jordan wore glittering earrings, plus a dress with a bejeweled neckline, to receive an award in Berlin. 6. The House of Bourbon held a dinner Friday in France to mark eleven centuries of their family's existence -- which does seem like an anniversary worth commemorating somehow. Princess Tania of Bourbon-Parma wore pearls, while Princess Anne of Bourbon-Two Sicilies went for a long pendant necklace. 5. On Tuesday, Queen Maxima of the Netherlands wore pearl earrings and a long pearl necklace at the opening of a visitors' center in Amsterdam. 4. Queen Letizia accompanied King Felipe to the opera in Madrid on Tuesday. She wore her de Grisogono black diamond earrings; they heard Donizetti's Roberto Devereaux. 2. ...while Sonja donned a serious set of statement jewelry, including a necklace, bracelet, and coordinating earrings. 1. My number one spot goes to Crown Princess Victoria, who sparkled in a new portrait released by the Swedish court this week. 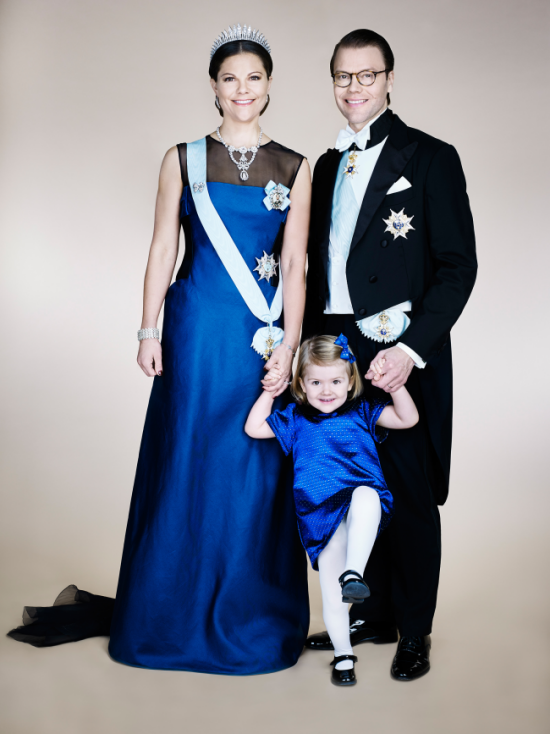 The image, taken last December, features Victoria wearing the Baden Fringe Tiara with Queen Josefina's Stomacher Necklace.